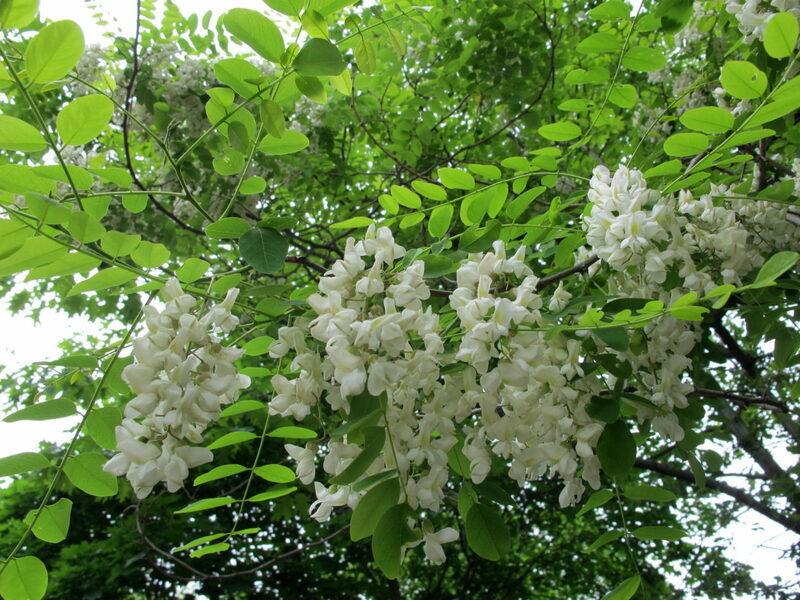 Black locust is a fast-growing deciduous tree in the pea family that grows nearly 80 ft. to 100 ft. tall. 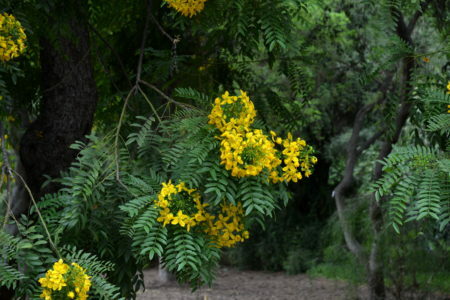 It was historically planted as a landscape tree and a street tree, and has escaped cultivation to become invasive in California and other states. Young trees have smooth green bark, while mature trees have dark brown and deeply furrowed bark with flat-topped ridges. Seedlings and sprouts grow rapidly and can be easily identified by long paired thorns. 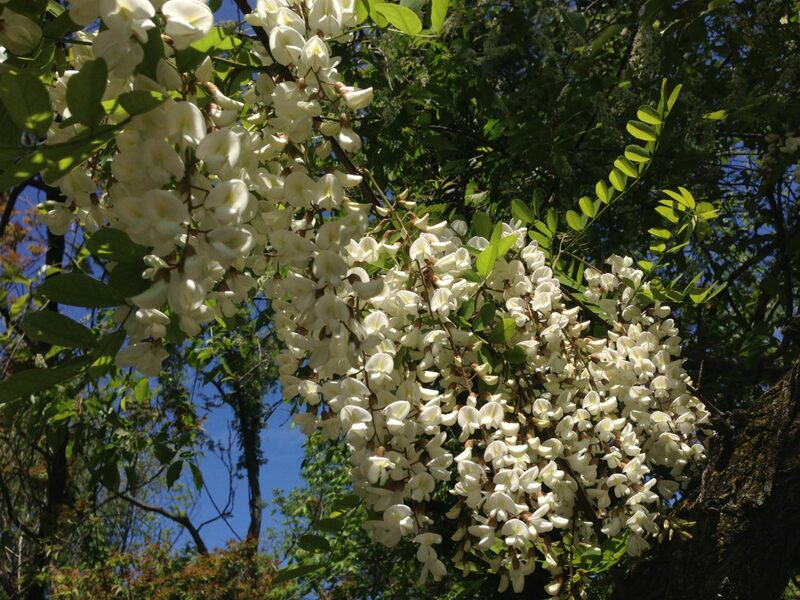 Fragrant white flowers appear in drooping clusters in May and June. 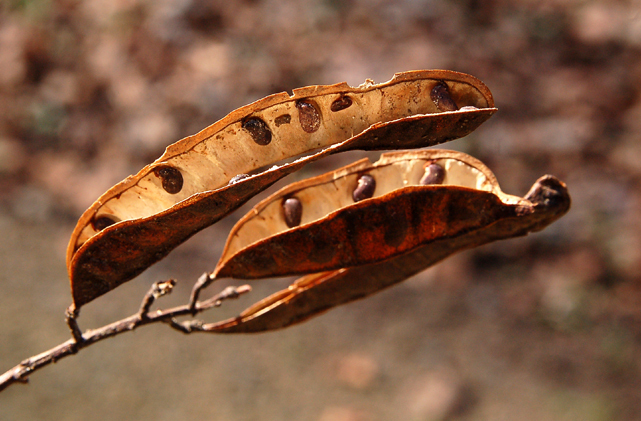 It produces abundant seeds, but they seldom germinate. 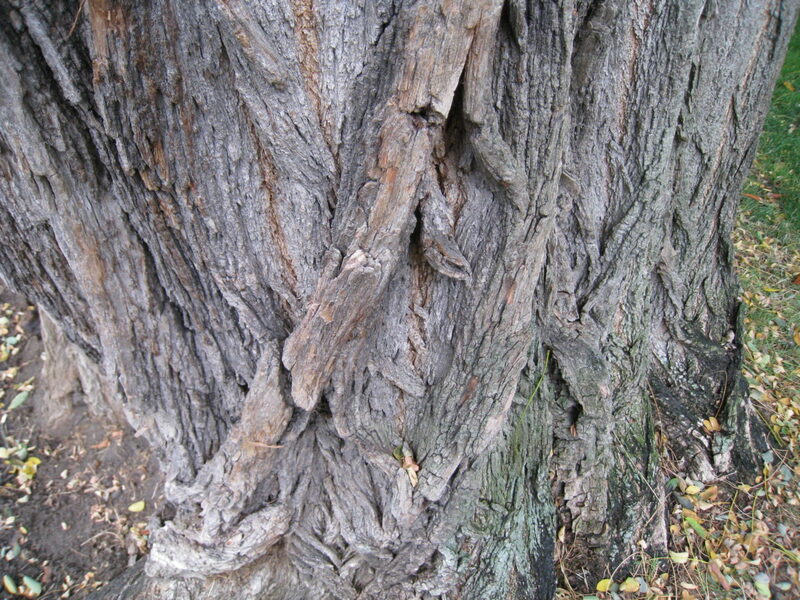 It reproduces most vigorously by root suckering and sprouting from stumps to form groves of trees connected by a common root system, making it a difficult plant to control. 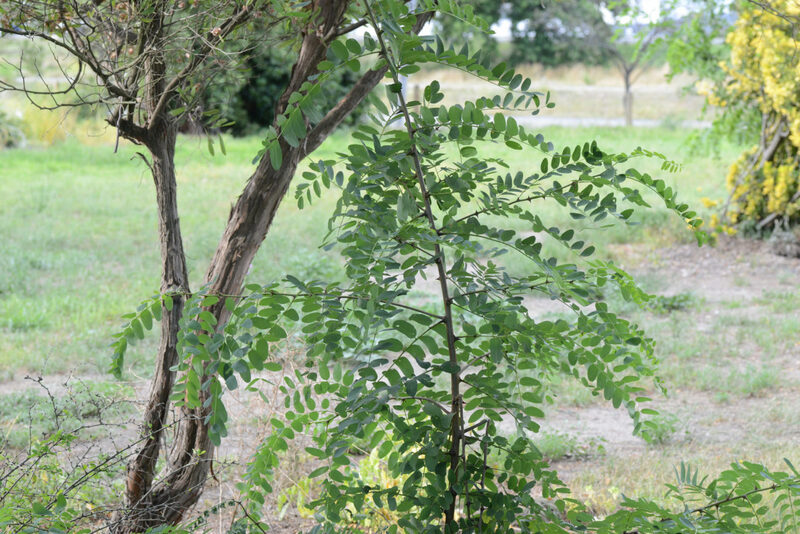 Being in the pea family (Fabaceae) like broom species, black locust can fix nitrogen in its roots, which makes it easier for other nitrogen-loving invasive plants and weeds to grow near it. 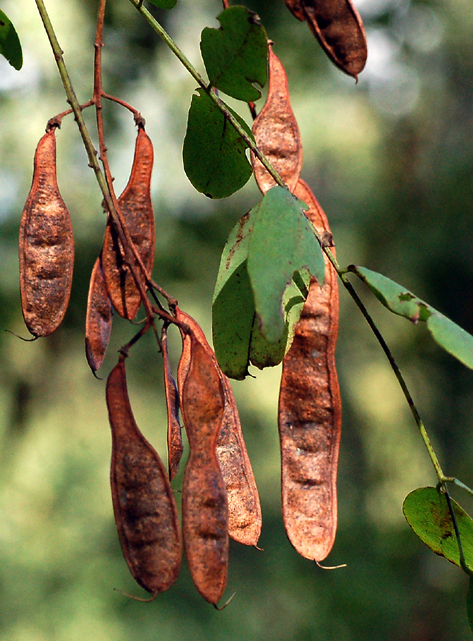 The leaves, stems, bark, and seeds are toxic. Ingestion causes neurological and gastrointestinal problems. This is an example of a species that is native to one part of the U.S. but invasive in other parts. 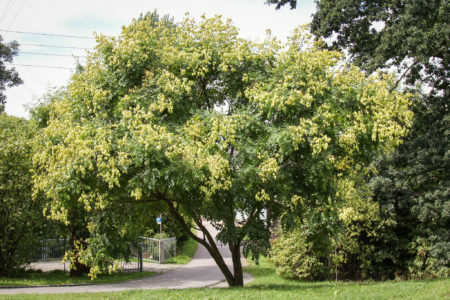 Black locust is native to eastern North America from Pennsylvania south to Georgia and Louisiana, and west to Iowa, Missouri, and Oklahoma. See CalWeedMapper for its distribution in California outside of cultivation. Why is this plant not included on the invasive plant list? 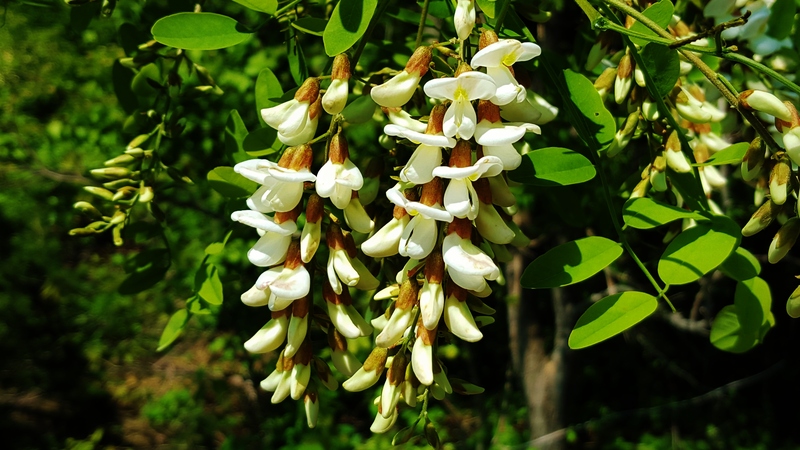 Black locust was considered when the list was initially developed in 2006 and again in 2016. 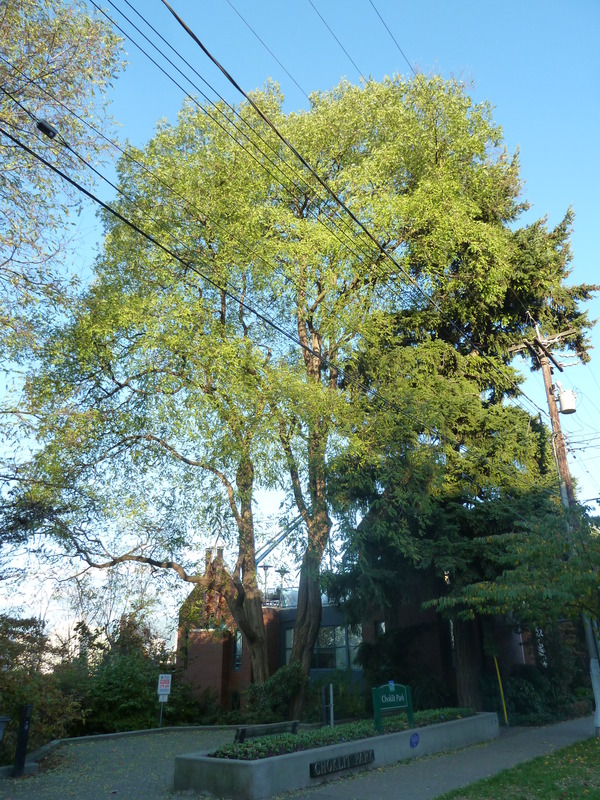 It was not added to the survey because the impact and risk from this species is lower in California compared to other states, and because it is already planted throughout the state, but not planted much anymore as a street tree. DiTomaso, J.M., G.B., Kyser et al. 2013. Weed Control in Natural Areas in the Western United States. Weed Research and Information Center, University of California. 544 pp.